About 9,000 Syrians will leave a border area in Lebanon, going to opposition-held northern Syria, after a local truce between Hezbollah and the Hayat Tahrir al-Sham bloc. A “security source” said about 150 buses had arrived in Flita, in the Qalamoun mountains across the Syrian border, for transport of fighters, their families, and refugees. 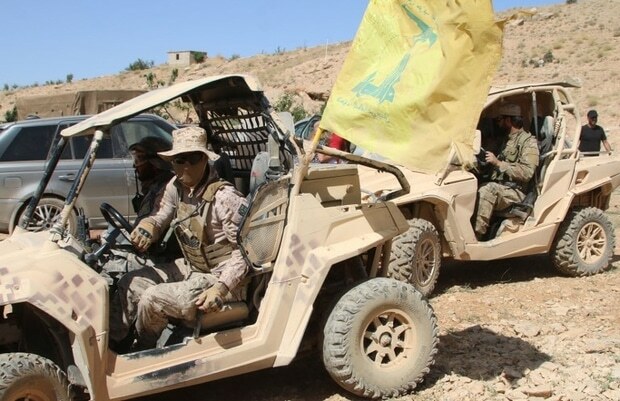 Hezbollah, allied to Syria’s Assad regime, launched an offensive on July 21 against fighters including members of HTS, led by the faction Jabhat Fatah a-Sham, which was formerly linked to Al Qa’eda. The Assad regime’s air force carried out strikes, while the Lebanese army took up defensive positions around the town of Arsal. Hezbollah claimed to have killed up to 150 fighters, while about two dozen Hezbollah troops were reportedly slain. As part of the truce, the two sides are exchanging bodies, and eight Hezbollah prisoners will be released. The clashes had been preceded by raids by Lebanese forces on refugee camps near Arsal, the town briefly captured by Jabhat Fatah al-Sham — then Jabhat al-Nusra — and the Islamic State in 2014. Activists and lawyers say men were beaten and detained in the raids, with four tortured and killed in custody. The Lebanese army says it will now carry out operations to clear smaller groups of Islamic State fighters, estimated to be in 32 positions along 240 square km of the border area. Turkey has indicated that it will move against the Kurdish militia YPG in Afrin in northwest Syria, but only after the Kurdish-led Syrian Democratic Forces complete their defeat of the Islamic State in the city of Raqqa. Ankara had threatened a military push in July against the YPG, which it considers to be part of the Turkish Kurdish insurgency PKK, and there were clashes between the two sides from Azaz in northwest Syria to Mare’ in the north-center of the country. However, despite rumors of the deployment of Turkish ground forces, an offensive never materialized. Sources also claimed that a Turkish delegation from the National Intelligence Organization, Turkish Armed Forces, and Foreign Ministry reached a consensus in Tehran in mid-July with Iranian and Russian authorities. The arrangements were for Ankara’s “wait-and-see” policy — as the SDF tried to recapture all of Raqqa, but “if Turkey can achieve to convince the opposition to withdraw from some areas in the south, Iran and Russia may keep silent over the handover of Afrin”.